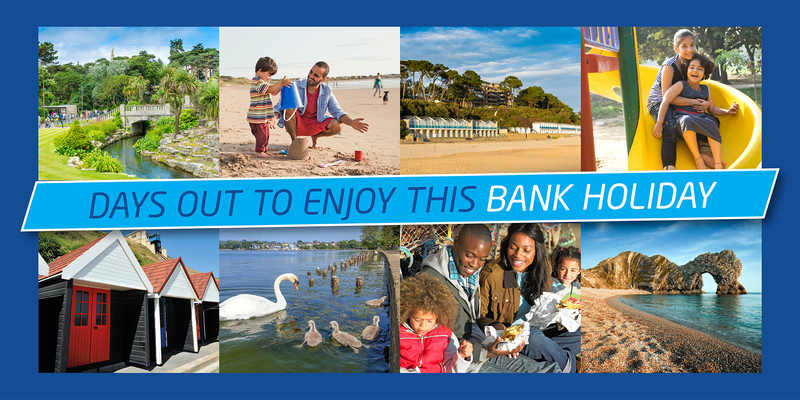 With warmer weather, soft sandy beaches and a ton of traditional seaside attractions, Bournemouth, Poole and our surrounding areas are a great place for a family day out, quick getaway or holiday. And there is lots of events through the year to make sure that everyone is entertained during their stay. So, what are you waiting for? Rally the troops, pack up your bags and head on an adventure for a fun-filled day out by the sea. Upton Country Park is the home of Upton House, a grand Grade II* Georgian Mansion House, and 140 acres of parkland, shoreline and formal estate gardens. Poole’s premier attraction, whatever the season. Enjoy the wildlife along the shoreline, allow the children to blow off steam along the Woodland Play Trail, enjoy one of the regular events – or simply find a quiet spot to admire the amazing horticulture and beautiful botanical Walled Garden. Castlepoint caters to the hearts and minds of the shoppers by providing an outdoor mall experience to suit every lifestyle. Welcoming millions of shoppers every year, Castlepoint takes advantage of its attractive line-up of retailers offering everything from fashion and beauty to DIY and electricals and everything in between. At Tower Park, Poole, a galaxy of entertainment unfolds. With Splashdown water park, Cineworld cinema, Hollywood Bowl, Lemur Landings soft play, Buzz Bingo and lots more alongside dozens of great restaurants ... the ultimate entertainment and leisure venue! The taproom and visitors centre are open daily with brewery tours, live music and multi award winning ales. Situated just half a mile from either Bournemouth Pier or Square the visitors centre has excellent reviews on the tours which run hourly 12 noon till 5pm. The tours starts in the brewery's own cinema and provides a guide to the history of beer, Southbourne Ales story, learning about the raw materials, followed by looking at the brewery plant and discovering how beer is made, culminating in a tutored tasting of some of the draught delights in the taproom. The most visited free attraction in Dorset, Poole Museum offers a great time for all in historic quayside buildings in Poole’s Old Town. Discover the remarkable story of this historic port and its harbour, and see outstanding new exhibits, such as the magnificent carved rudder from the age of Rembrandt, recovered from the Swash Channel Wreck – an important Dutch ship that sank nearby in 1631. There are activities for all the family, including digital and paper trails, and visitors enjoy the interactive 1950s kitchen and the birds of Poole Harbour in their hide. Catch the X3 from Bournemouth to pick up the Stonehenge Tour in Salisbury. You can buy an all-in-one ticket which includes entrance to the Stonehenge site and visitor centre, entrance to Old Sarum a settlement raised in the Iron Age, as well as the magnificent Salisbury Cathedral which is home to the Magna Carta. Poole Park has an abundance of beauty that has something for everyone. One of the most popular activities is feeding the ducks and swans, on Swan Lake. There is also the miniature railway which winds its way around Swan Lake. By the lake you will find The Ark, an extraordinary adventure playground for children. You can also just stroll around the park enjoying the atmosphere of the rose garden or admire the formal flower beds. There is a bowling green, where you can sit and watch a match or if you fancy golf you can try your hand at crazy golf or mini pitch and putt. In 1901 Merton Russell-Cotes gave his wife Annie a dream house on a cliff-top, overlooking the sea. It was an extraordinary, extravagant birthday present – lavish, splendid, and with a touch of fantasy. They filled this exotic seaside villa with beautiful objects from their travels across the world, and lined the walls with a remarkable collection of British art, creating a unique atmosphere in a most dramatic setting. A home, an art gallery, and a museum. Then they sealed it in time, and gave it to the future.